Below are samples of posters and flyers actually used by PI Subcommittees. They are for the most part simple and direct. Click on the thumbnail view to see the entire image. Can’t Find What You’re Looking For? 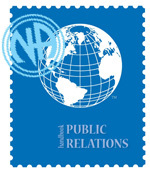 There is a wealth of information on NA service and public relations at the NAWS website, take a look at the Local Service Committee Resource area. Below are samples of posters in different file formats (PDF, Word Doc). Click on link to download file.